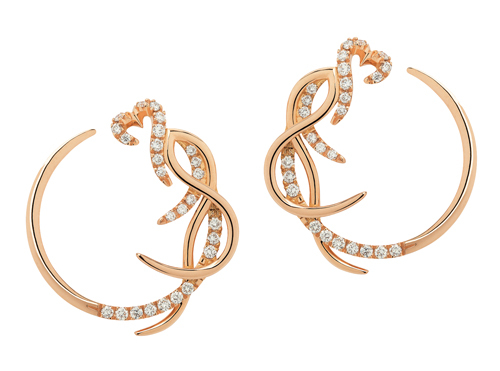 Fabergé – A cuff made of rivulets of white and pink gold set with diamonds is inspired by Russian gypsy singers, whose performance captivated Moscow’s cultural life during the time of the Tsars. Imogen Bellfield – A rising star in London’s jewellery scene, Bellfield’s Gems collection demonstrates her hand-carving techniques. 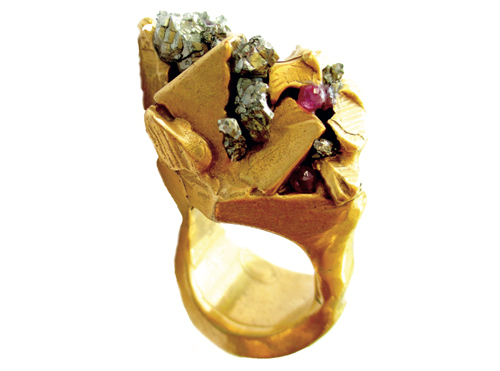 The Jagged Gems ring is a cluster of gold nugget and gemstones. 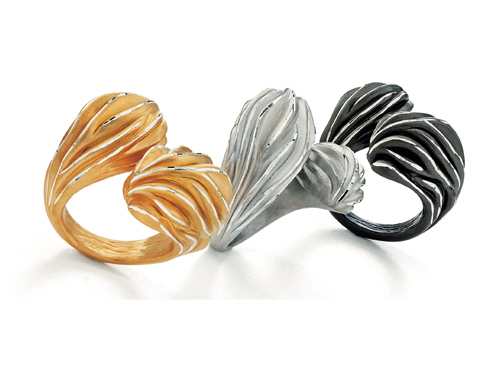 Ornella Iannuzzi – This French designer allows the shapes and structures of rough gemstones to influence her work. 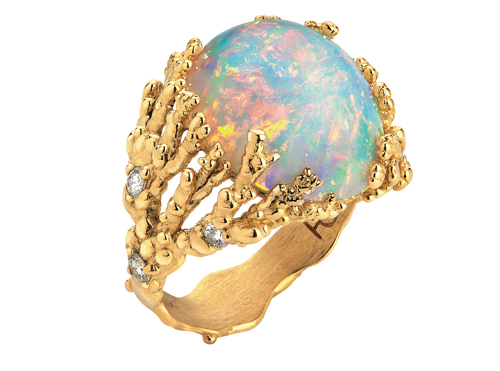 The Coraline Reef ring is a yellow gold and diamond atoll surrounding and opal. Roberto Coin Fifth Season – Reflecting undulating sands, these Contrarie rings from the Dune collection are in yellow gold, rhodium and ruthenium-plated silver. 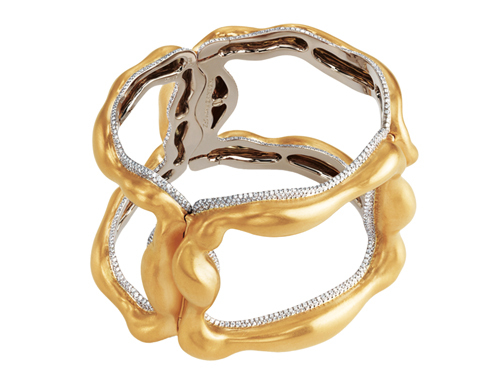 Sarah Ho – Ho’s Vita Vitae collection employs a vine pattern in gold, accented with diamonds. 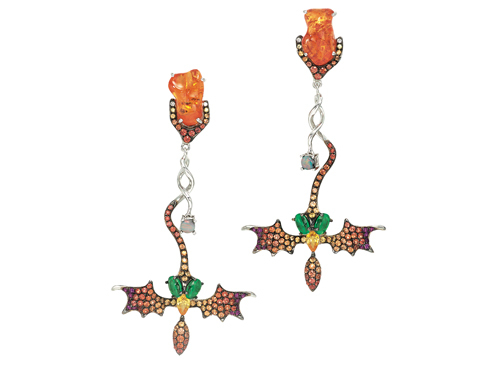 Wendy Yue – These earrings from Yue’s Diamond Tree collection contain two rough-cut orange sapphires with pavé-set yellow sapphires, ruby, opal, tsavorite, diamonds and mandarin garnets in white gold.